Discount Vacuum & Sewing offers some of the major sewing machine lines, including Juki, Janome, Necchi, Simplicity and others. Besides having conventional sewing machines, from very basic to fully computerized models, we stock sergers and embroidery machines, as well. We have a full service in-house service/repair department. 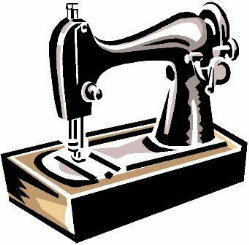 Sewing machines that are lubricated, cleaned and tension adjusted annually run smoother and sewing projects move much more quickly. Having your sewing machine serviced on a regular basis will drastically extend the life of your sewing machine. Keep your projects on track; get your sewing machine serviced today! Looking for a quality second hand sewing machine, stop looking and come see us. We offer an ever-changing, on-going inventory of refurbished "pre-owned" sewing machines. Not only do we carry a vast assortment of used sewing machines, from the very basic to the elaborate; also included are refurbished sergers, too! Don't miss these bargains, please visit us soon in Santa Rosa.